When we first created the idea of 'Meeting In The Media,' we immediately thought of hosting and creating the site on Squarespace. However, we decided to go with WordPress because we were going for a more 'newspaper' style, and thought one of the thousands of available WordPress templates could accommodate us. However, after working with WordPress.com, switching to WordPress.org, and moving through four different templates over the course of five months, we decided to move our content over to Squarespace due to its ease of use and extensive customization. Squarespace offers over 20, highly customizable templates. A team of Squarespace developers tests and updates these templates so you won't see incompatibility between the template and your website, as you might see when using some third-party templates with WordPress. Primarily a Squarespace-based web designer, Geena Matuson looked through several user-created comparison charts to find the right template for the new site. Conveniently, moving your content from WordPress to Squarespace is automated, and therefore you don't have to copy, paste and format each post manually. 1. In order to create an account, first choose a template. Don't worry about making 'the right choice' right off the bat! You can change your template design multiple times once you've created your website, and you can also take a look at how users customized each template to suit their design needs. For example, check out a selection of customized websites created by people and businesses using the 'Marquee' template. You can also check out our post 'Choosing a Squarespace Template?' for more info.! Once you've chosen a template, click the 'start with this design' button. 2. Sign up and create your account. Squarespace offers a 14-day free trial so you can learn how to use Squarespace and customize your website before it goes live. At any point during this trial period, you can purchase a payment plan. After the trial period has ended, your website will become deactivated; you always have the opportunity to re-activate your account, and purchase a payment plan in order to continue using the site. Use the promo code 'GIMME10' at checkout for 10% off your first year of any annual plan! 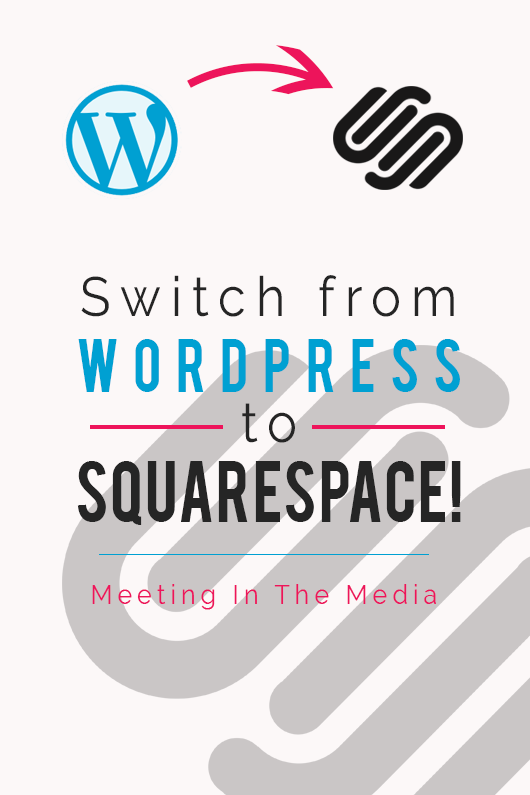 And don't forget to say you heard about Squarespace from Meeting In The Media, use either our email address meetinginthemedia@gmail.com, or our Twitter handle @meetingitmedia. 3. Import your Wordpress content! Go to Settings > Advanced > Import/Export > Import > Wordpress. You'll have to enter your URL and Wordpress login details and then click import. A progress bar will indicate that your Wordpress content is importing and a 'success' message will appear when it's done. It takes about 5-10 minutes. 4. Enable your imported content. When you first login and see a menu on the left sidebar, click the 'Pages' link. You will see a new menu with sample content that comes with your Squarespace site as a teaching tool. Scroll down to the area with the heading 'Not Linked.' This is where you'll see your imported WordPress content pages. If you'd like your new WordPress pages to appear as links on your website navigation bar, drag each page from the 'Not Linked' section up to the 'Navigation' section at the top of the menu. For a complete, step-by-step walk-through of this process, check out the Squarespace help page 'Importing Content From WordPress'. Text and images will help you with all the details, from start to finish! If you also had a custom domain name associated with your WordPress account, you'll want to transfer that to your new Squarespace site so people can see it! If the domain name is hosted by another company (e.g. GoDaddy, Network Solutions, etc. ), then chances are you've mapped your domain name when setting up your WordPress site. 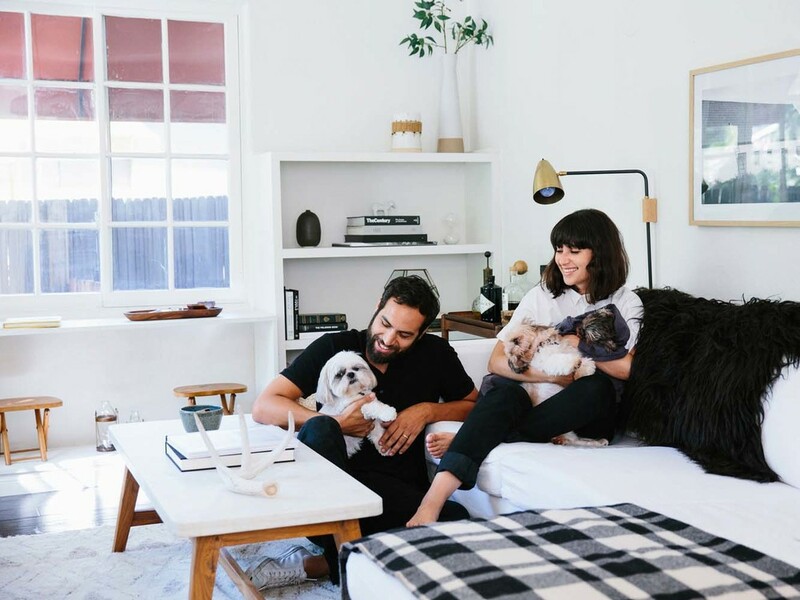 Follow these very simple, step-by-step instructions directly from Squarespace.com about domain mapping - or pointing the domain name to your new Squarespace site! And, if you were using a custom permalink structure on your WordPress site, you'll need to take one more step. On WordPress, your posts may have been structured like this: yourdomain.com/my-first-blog-post, while on Squarespace your posts are structured like this: yourdomain.com/blog/my-first-blog-post. Notice the extra word 'blog' in your Squarespace permalink that isn't in your WordPress permalinks? Because the Squarespace permalink structure is different from the structure on WordPress, those older links no longer exist. If someone has an older WordPress link and clicks it, they'll be led to a 404 error page. To tackle this problem, you need to use 301 redirects! A 301 redirect allows you to send people from one URL to another so they don't get caught in a 404 error page. Read more about 301 and 302 redirects on the Squarespace help pages, here. It's a super simple process - all you have to do is go to your menu's Advanced URL Mapping settings, and add the URL of each old blog post with an arrow pointing to the new post URL! It looks like yourdomain.com/my-first-blog-post -> yourdomain.com/blog/my-first-blog-post 301. That's it - and your old URL will redirect people to your new one! For a more detailed breakdown of this process, read 'Step #10: URL Mapping' of this great 301 redirect tutorial from Nesha Designs! After you've done it once, you'll realize just how easy it is! Once you've completed that step, your new Squarespace website will display all of your previous WordPress content, and your old links will lead right to the new site, too! Now you can take the time to play with the design of your site such as fonts, colors, and the way your website looks and feels! If you're looking for a web designer to do these things for you, check out Geena Matuson's portfolio and contact her for a quote at www.geenamatuson.com.